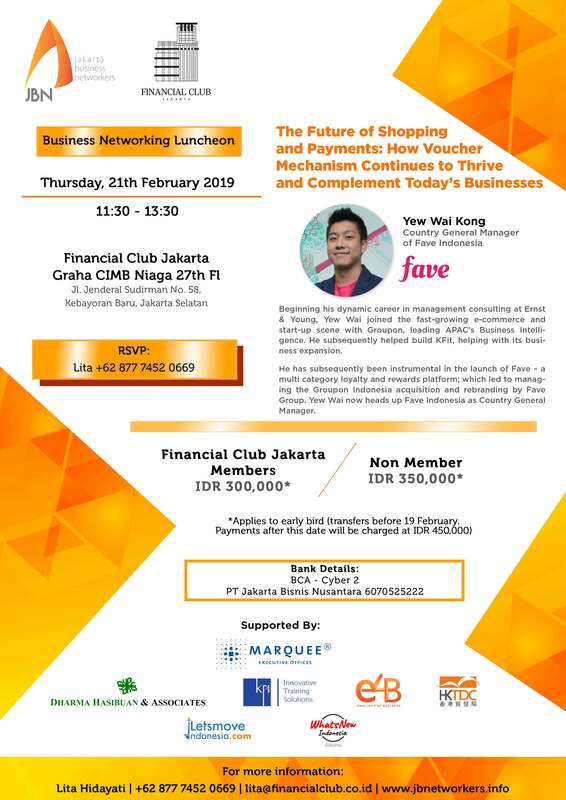 We would like to invite you to join us at our next Speed Networking on Thursday, 21 February 2019 at Financial Club Jakarta. We are delighted to feature an exciting, informative sharing session led by Yew Wai Kong, Country General Manager of Fave Indonesia. • Business Workshop "Close Deals Faster"